Imagine a world where online shopping doesn’t exist. To purchase a new top from your favorite brand, you must physically visit their store to see what they have on the racks. To place an order, you must first ask a store manager to contact the brand’s warehouse to check if the items you want are in still in stock. There’s no shopping from your cell phone, and certainly no autofill for your credit card or shipping information. There’s just good old traditional in-person shopping. Hard to picture, isn’t it? A world where your favorite brands aren’t available at your fingertips, and you can’t place an order whenever you want, from wherever you are. When it comes wholesale, this old-fashioned shopping experience is still common among many brands and retailers today. In order for buyers to see new collections, oftentimes their best bet is to attend trade shows all over the world or visit the brand’s store directly. If they want to place an order, they write it down on piece of paper, which is then faxed or emailed to the brand’s sales representative to ensure the items they want are available to ship. It’s a cumbersome, circuitous purchasing process that includes significant human interaction and ignores many of the technology advancements we have today. There’s no denying this version of wholesale has worked in the past, but the truth is, nowadays it often causes more harm than good. Relying on trade shows and pen and paper ordering is error-prone, slow, and way too antiquated to keep up with today’s consumer demand. 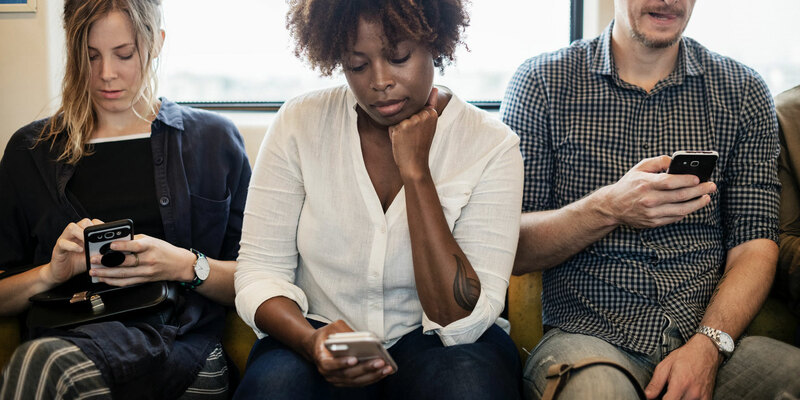 Buyers today are younger and more tech-savvy that ever before, and need a B2B shopping experience as seamless as they one they have in their everyday consumer lives. According to a Google report, nearly half of B2B buyers are millennials. 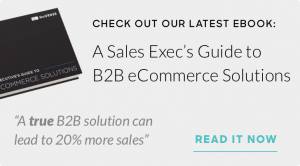 This means, nearly half of B2B buyers are more than comfortable with the ability to shop online and place orders within minutes. They are used to a seamless B2C shopping experience in their personal lives and have grown to expect the same intuitive, self-service experience in their professional lives as well. B2B sites must focus on the online experience as well. Often times, B2B sites don’t consider their user experience a high priority, which can affect how often retailers frequent and use their portal. Just as consumers prefer websites with engaging content, graphics and character, online ordering portals can and should offer more than just utilitarian lists of SKUs. By incorporating the best elements of a user experience – images, video, product discovery and ease-of-use across desktop and mobile – B2B sites will ensure a more meaningful experience for their retailers, enabling more activity from their retailers. 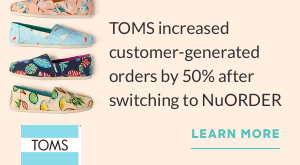 To learn how NuORDER can better your brand’s buying experience, request a demo today.